Founded in 1859, Massachusetts Institute of Technology (MIT) is revered as one of the most advanced and prestigious academic and research institutions in the country. Counsilman-Hunsaker, in association with Sasaki Associates, was commissioned to design a state-of-the-art three-story natatorium, named the Al and Barrie Zesiger Sports and Fitness Center. 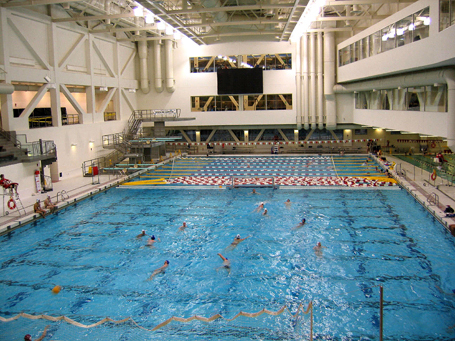 In 2003, MIT’s Al and Barrie Zesiger Sports and Fitness Center received Athletic Business magazine’s ‘Facility of Merit’ award for outstanding design.